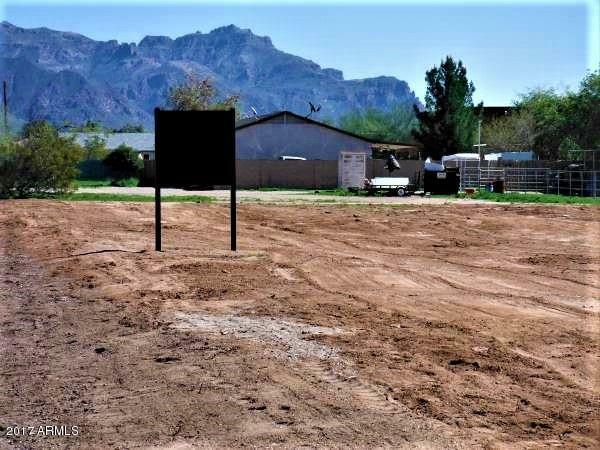 Gorgeous views of the Superstitionss from this beautiful 2.25 acre parcel. Zoned RS-GR for both manufactured home and site built. Acreage is cleared and ready! Horses welcome. 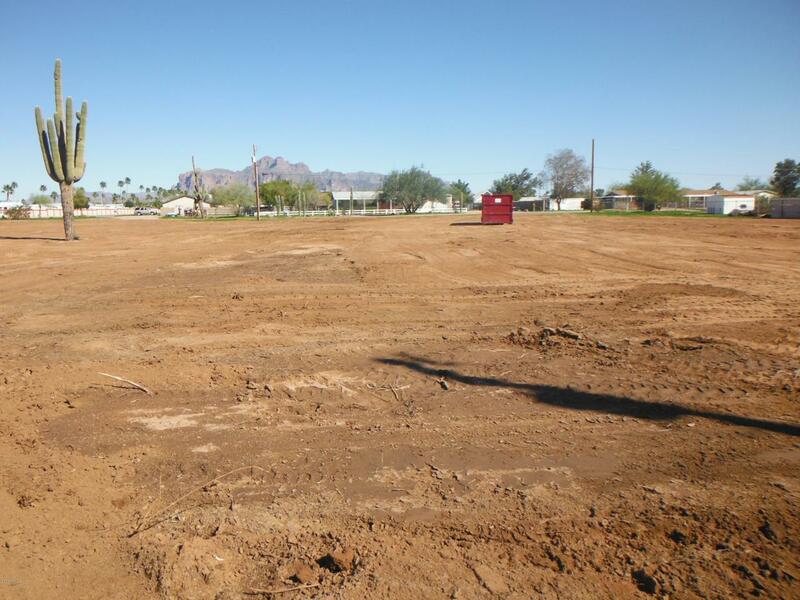 Property can be split per City of Apache Junction. All utilities on property or to property line. AZ water has mains on Tepee, Grand and Delaware. Sewer - Superstition Mountain Facilities District line runs East and West on Tepee. Electric is SRP and power polls are on the East and West side of property. Close to everything!